What can one say about an animal that was so much more than a pet. We adopted Dutch in 2006 and from day one there was an incredible bond that began like no other. Dutch was that one of a kind animal that makes such a long lasting impact on your life. He was so smart you would almost think he could read your mind. So strong in body but so gentle and caring in mind. We often wonder why he was taken from us at such a young age. Why this dreaded disease robbed him of so many years ahead. The heartbreak and grief we suffer will slowly decrease over time but Dutch will forever remain within our hearts. 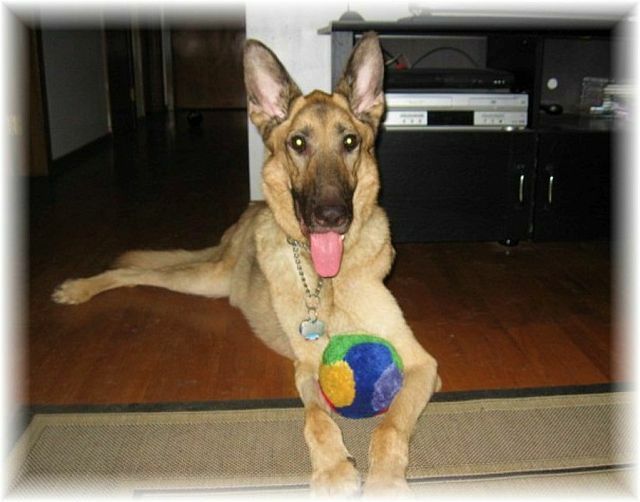 “Dutchy” you have crossed over that “Rainbow Bridge” free to run with no illness and no pain. We miss you so much and wait for that day when we will see you again. Our hearts will no longer ache, the tears will no longer flow, and the joy will be brought back into our lives.